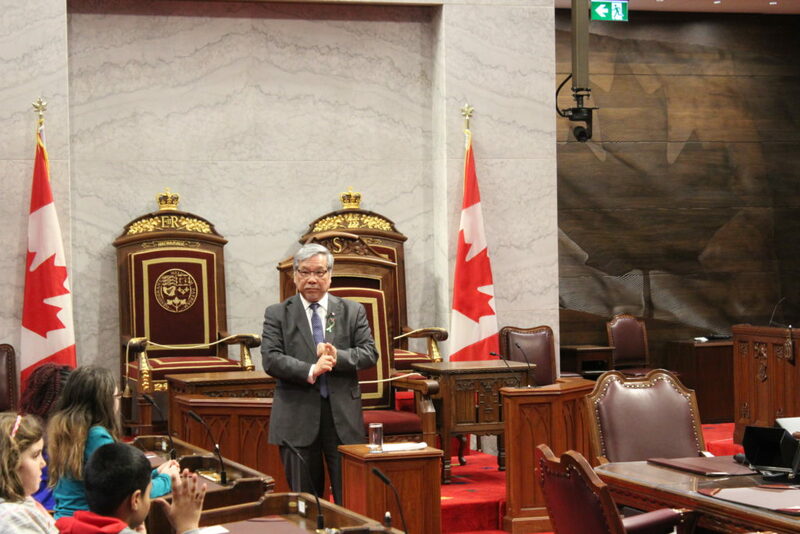 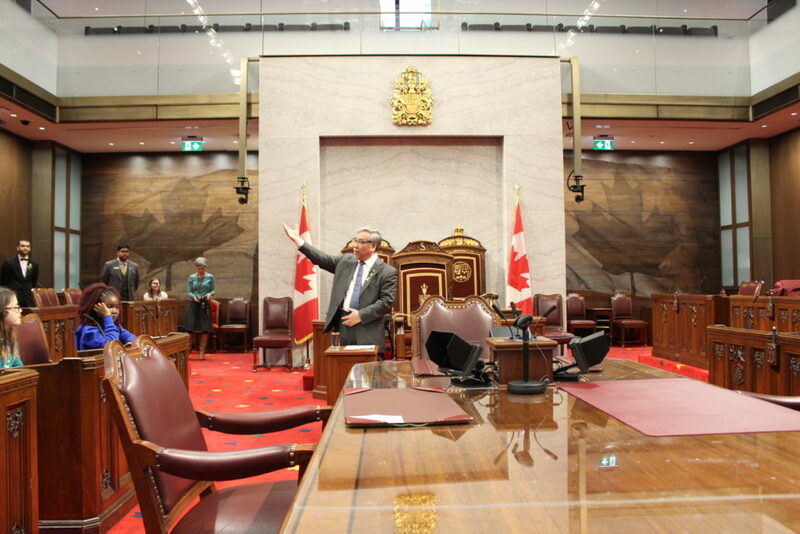 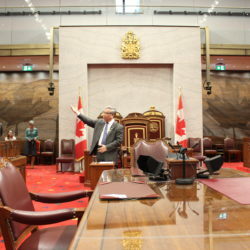 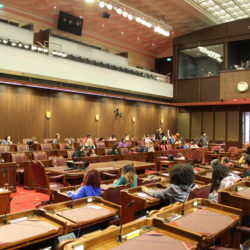 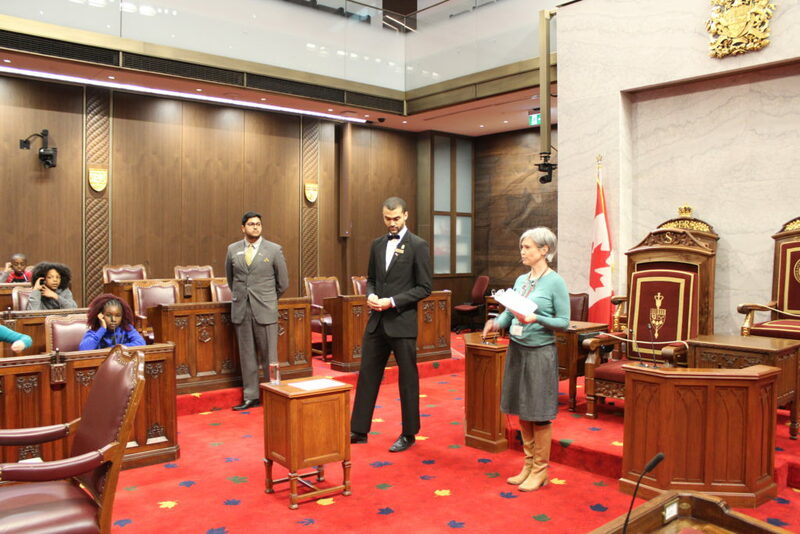 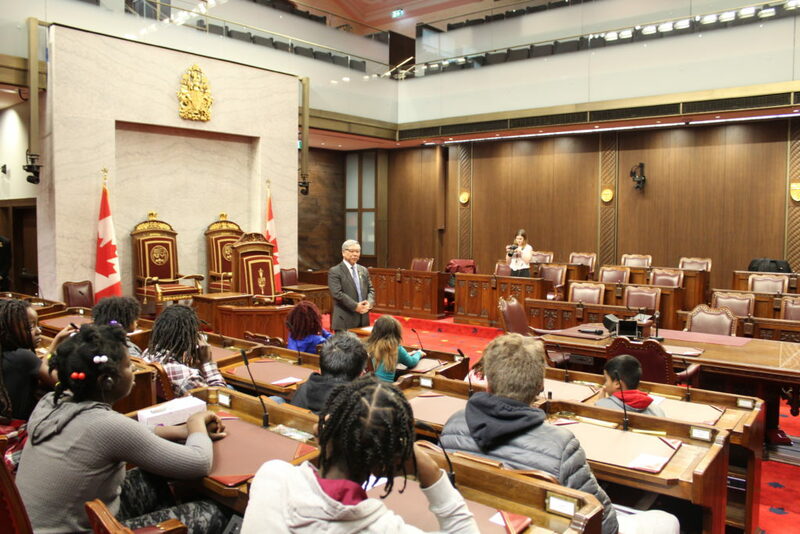 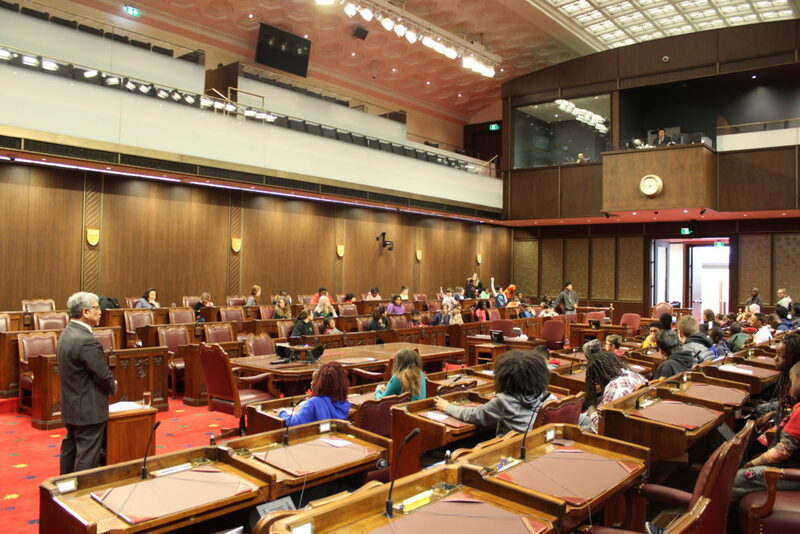 As part of the SENgage initiative launched by the Senate of Canada to engage with youth at Parliament, Senate Ngo participated as the key speaker in a visit by the Boys and Girls Club of Ottawa (BGCO) on Saturday, April 6, 2019. 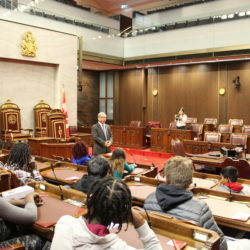 The Boys and Girls Club of Ottawa’s Walk This Way program takes members on treks through the city, the country and surrounding points of interest. 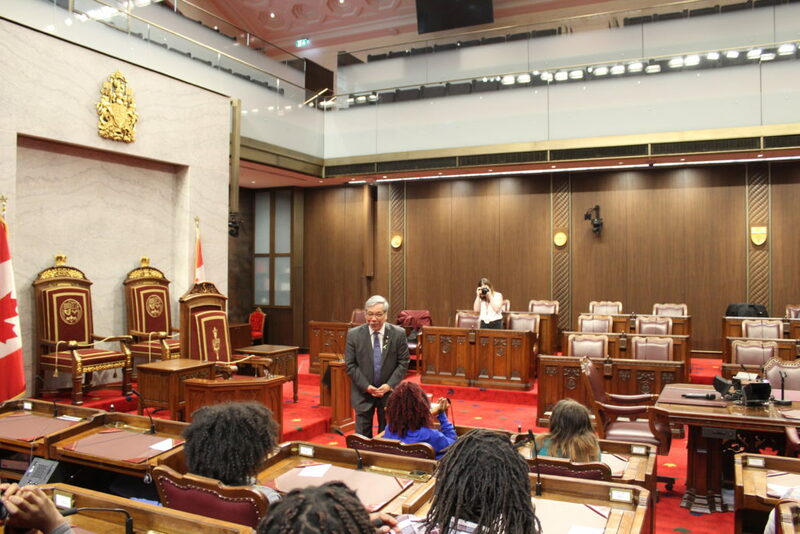 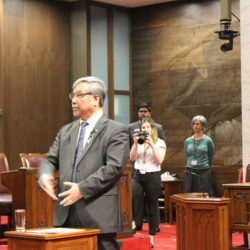 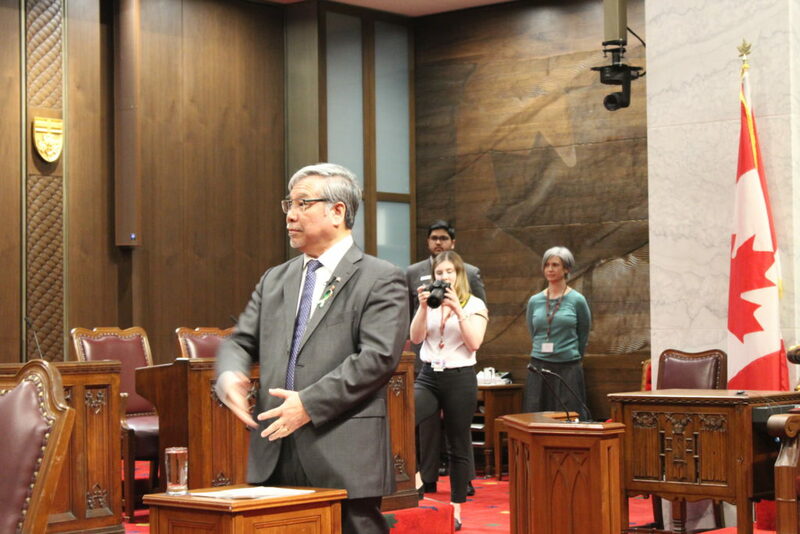 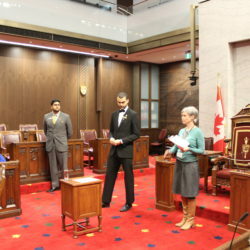 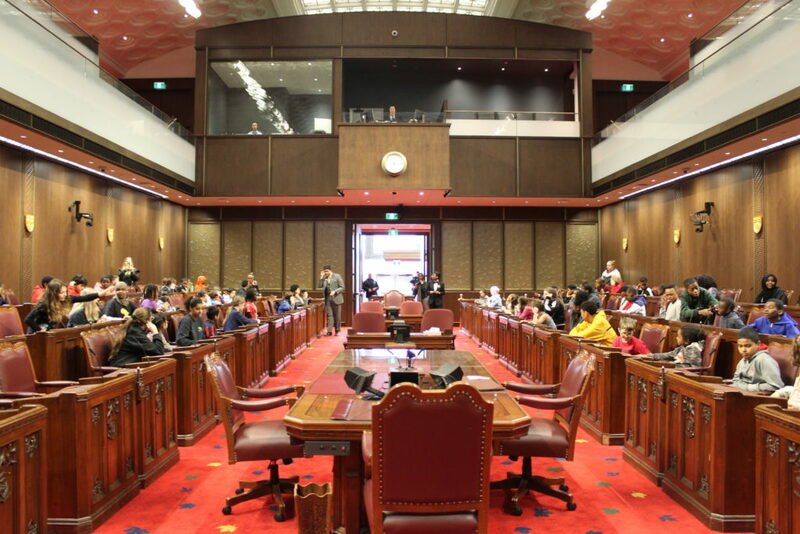 On this date, the Club organized a visit to the newly constructed Senate Chamber to hear Senator Ngo talk about his experience as a senator and the role of the Senate in Canadian politics. 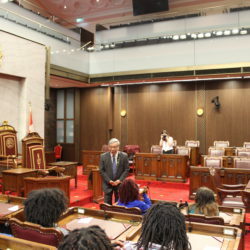 The Senator gave a brief presentation and then took questions from approximately 85 students. 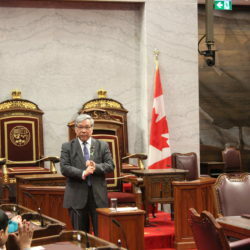 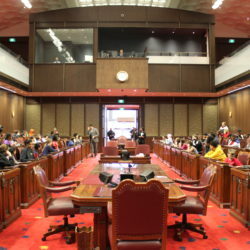 The visit finished with thanks from the emcee and a group photo with Senator Ngo at the front of the Chamber.